Imagine you are a South Asian woman. Every day is a struggle and a challenge to survive. All you know is oppression from the day you were born until the day you die. As a girl child, your birth is not celebrated. You feel unwanted and are constantly reminded that you should have been born a boy. You are neglected, mistreated, abused or abandoned. As a young girl, you are abducted and forced into a life of prostitution which increases your risk of dying from AIDS. If you are a widow, you are blamed for your husband’s death. His family and your community shun you and you are forced to fend for yourself. You are forced into an inhumane existence. You are completely alone, with no one to support or care for you. Life is too hard. There is no help. There is no hope. Only despair, misery and pain. What’s the use? Tens of thousands of widows end their lives just to end the pain. If your dowry is not enough, your husband can douse you with kerosene and set you on fire. I have read horror stories of women being set on fire by their husbands or in-laws because of their dowries. A woman’s life is not worth anything. It’s hard to believe that there are countries where it’s not safe to be a woman. It can even be fatal. Women who survive infanticide because of gender are forced to live in a society which denies them rights to equality, respect, education, etc. Being a woman in South Asia is unimaginable and unbearable for many and it is not surprising that the suicide rate is up to 21 times higher than the world’s average. Life for these women is a never-ending cycle of misery, hopelessness, degradation and rejection. These women need to know that there is hope. They need to know that there is a God who values them. To Him they are precious. They were fearfully and wonderfully made in His image. 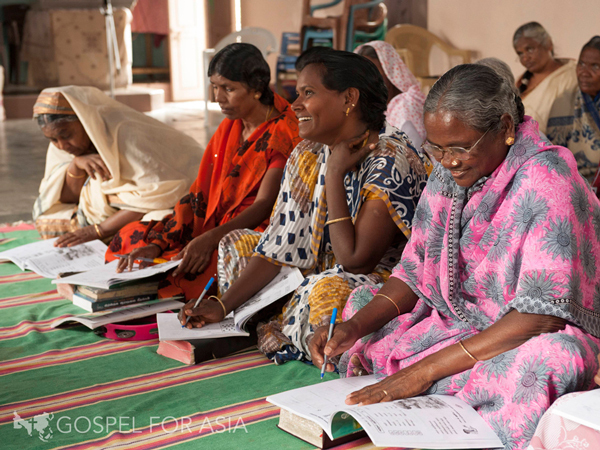 Imagine the joy these women will have when they hear about Jesus for the first time through Gospel for Asia’s ministries. Help them find hope and joy in a Savior who loved them so much that He gave His life for them so that one day they could spend eternity with Him. They need to know that they are worth a price far above rubies. They need to know that although there might have been silence in their homes on the days they were born, there was a joyful noise in heaven. 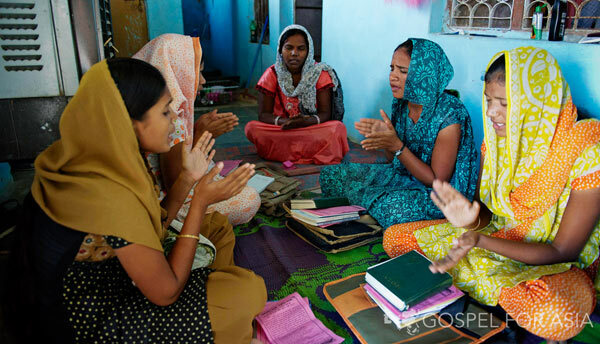 Women missionaries have been bringing the message of love and hope to the women of Asia. It is crucial that women minister to women because of the Asian culture. Women are more comfortable around other women. 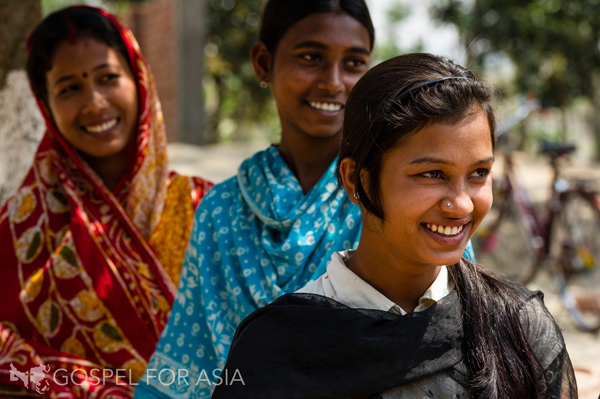 Gospel for Asia has trained, dedicated women missionaries who are willing to risk their lives to share the love of Jesus Christ with millions of women who still need to hear the Good News. These heroic women missionaries are willing to risk persecution, beatings and imprisonment because they are passionate about giving hope to women who have lived in despair for so long. They want to offer hurting women healing and encouragement. They want to bring the Savior’s light and love into their dark and uncaring world. Many Asian woman have had their lives transformed but there are still so many who are still waiting. Help Gospel for Asia send more missionaries to those who are perishing without knowing about Jesus and His love. Find out how at this link. Help bring joy to a woman in Asia. Thanksgiving has come and gone in Canada and the United States. Many of us enjoyed delicious turkey dinners with our families and reflected on all that we were thankful for. We were thankful that we have shelter, jobs, families and friends. Just recently many people got laid off from their jobs. Those of us who still have jobs are very thankful especially as the Christmas season is fast approaching. As Christmas draws near, we think about the gifts we will get for our loved ones and friends and plan our menus. It’s a fun and a stressful time. We decorate our homes and set aside one evening just to wrap presents to put under the Christmas tree. We are thankful for the most wonderful time of the year. We are thankful for God’s greatest Gift to us–His beloved Son, Jesus. Sadly, it’s during this time of the year when we are reminded that not everyone is as blessed as we are or has much to be thankful for. Imagine that it’s Christmas time but you are not in the holiday spirit because you are overworked and it’s a constant struggle every day to provide meals for your family. You’re working hard but have nothing to really show for it. You can’t give your children education or clothes. This is how life is for many people in South Asia. Each day is a struggle for them. They don’t live–they just exist. Imagine how thankful you would be if you were to receive a simple gift that would help you and your family. Gospel for Asia offers lots of wonderful gifts in their Christmas Gift Catalog. Gifts like chickens, sewing machines, rickshaws and Bibles are not only a great source of income for people who are living in poverty but they are a means by which the love of Christ can be demonstrated in tangible ways. Since 2007, the gifts from GFA’s Christmas Gift Catalog have helped over 736,000 impoverished families in South Asia. I thought of which gift I would be thankful to receive and came up with two. The pull cart and a bicycle. With a pull cart I can sell fruits, vegetables, clothing or handcrafted items so that I can provide for my family. This is a legitimate way for a poor person to make a living. I would be able to give my child an education and give faithfully to the church. I can even share the Good News about Jesus with people as they buy the goods I am selling. I don’t have to worry about renting a cart. Having my own cart saves me time and I can take home all of what I earn. Having my own cart will be a testimony to my neighbors and relatives that God takes care of those who put their faith and trust in Him. I love to ride. In Guyana I used to ride a lot. It was a fun way to get around. Good exercise too. If I were living in South Asia, I would love to own a bicycle. If I received one as a Christmas gift, I would use it to reach more villages and tell them about Jesus. The Bible talks about how “beautiful are the feet of them that preach the gospel of peace, and bring glad tidings of good things!” (Romans 10:15). Imagine how much faster I can share the gospel of peace and bring glad tidings of good things if I had a bicycle! This Christmas think of the many lives in South Asia that will be changed through the Christmas Gift Catalog. Think of how thankful you would be to receive one of these gifts. Take a look at the Catalog here and prayerfully consider each gift. As an avid reader, I can’t imagine not being able to read. It is one of my favorite things to do. I loved reading since I was a child. It led to my other favorite thing–writing. Being able to read and write can really make a difference. You can read books, study the Bible, write letters, read recipes, directions, the labels on products in the grocery store and write checks. These are things that most of us can do but in South Asia, more than 30% of the women are unable to because of illiteracy. Imagine that you are illiterate and have no opportunity for an education. Imagine the struggles you face as you try to make ends meet while your husband spends your earnings on alcohol. This was Dayita’s reality. She came from a village where few girls received an education. Being illiterate left her with very few options. She began sewing clothing to ease her family’s financial situation. Her husband Kaamil deposited her earnings in the bank but she was horrified when she found out that he was withdrawing her money so that he could buy alcohol. Desperate, Dayita found someone to help her to open her own bank account but managing it proved to be very difficult because she couldn’t read or write. She was unable to fill out the deposit and withdrawal forms. She had to rely on others to help her. God saw that Dayita needed help and He intervened. He sent Ashna and Neha, believers from the local Women’s Fellowship to start a literacy class in Dayita’s area. Dayita began attending the sessions because she was determined to keep her hard-earned money safe. To her surprise, Kaamil supported her. Ashna taught two hour classes on reading and writing from a Bible based curriculum. Within two months, Dayita could read and write enough to fill out her bank forms. She is able to deposit and withdraw money on her own now. She is able to get around because she can read the names of buses and bus stations. Thanks to the ministry of Ashna and Neha, Dayita is learning about Jesus and starting to believe in Him. Thanks be to God, who sees all and knows all and is every ready to help those who are in need, Dayita can enjoy the freedom that literacy brings. Knowing how to read and write, she doesn’t have to depend on others for help. She can go to the bank and do a transaction any time she wants. She can travel without worrying about getting lost. She can also enjoy the freedom that knowing Jesus brings. If you are interested in helping other women like Dayita, find out how at this link. Help to free the women of South Asia from the yoke of illiteracy. Years ago, I was part of the Women’s Ministry at my church and one of the things I really liked about it was the fellowship. We would hold programs like “Lunch and Learn” where women would come together at someone’s home and a pastor or a speaker is invited to share a profound message with us. Then afterwards, we would enjoy a potluck while uplifting Gospel music played in the background. I have enjoyed the Women’s Ministries’ yearly three day retreats where I was blessed with Friday night vespers, a Sabbath school program and worship on Saturday morning and workshops in the afternoon. On Sunday we had breakfast and more workshops before we closed the wonderful three day event with prayer. 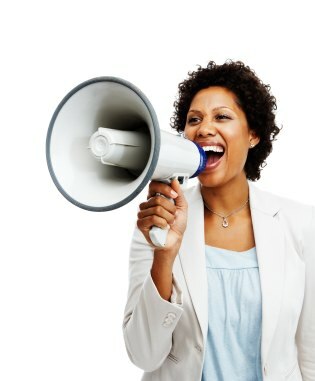 Women’s Ministries also offer seminars where women come together and share their testimonies. It’s during these times when women dig into God’s Word, encourage, pray for and fellowship with each other. Women’s Ministries have truly been a blessing for me and countless of women. Can you imagine not having a Women’s Ministry or not being able to fellowship with other women? Nor can I. It would be hard for the thousands of women all across South Asia not to be able to attend a weekly Women’s Fellowship group. Through this group, they learn God’s Word, memorize Scripture, pray, reach out and worship the God who reached out to them–Asia’s most unreached group. God is working to change thousands of lives. Women’s Fellowships are usually led by a woman missionary, a pastor’s wife or a godly believer in the church. A growing congregation needs someone to lead and mature women are best suited to teach the other women. Their experience and wisdom will help to guide the younger women. Likewise, older women should be reverent in behavior, and not be false accusers, not be enslaved to much wine, but teachers of good things, that they may teach the young women to love their husbands, to love their children, and to be self-controlled, pure, homemakers, good, obedient to their own husbands, that the word of God may not be dishonored – Titus 2:3-5. As Christian women, we have duties towards each other. So, let us encourage one another through prayers, ministries, Bible studies, fellowships and worship. Nothing is more powerful than prayer. Sister Mary knows that and that is why she is such a prayer warrior. After meeting Jesus more than 10 years ago, Sister Mary has shared His love with her community by praying for the sick and suffering. Sister Mary reminds me of Dorcas who showed the Lord’s love by sewing garments for widows in her community. God uses humble people like Dorcas and Sister Mary to change lives. He has used Sister Mary’s prayers to change hearts. 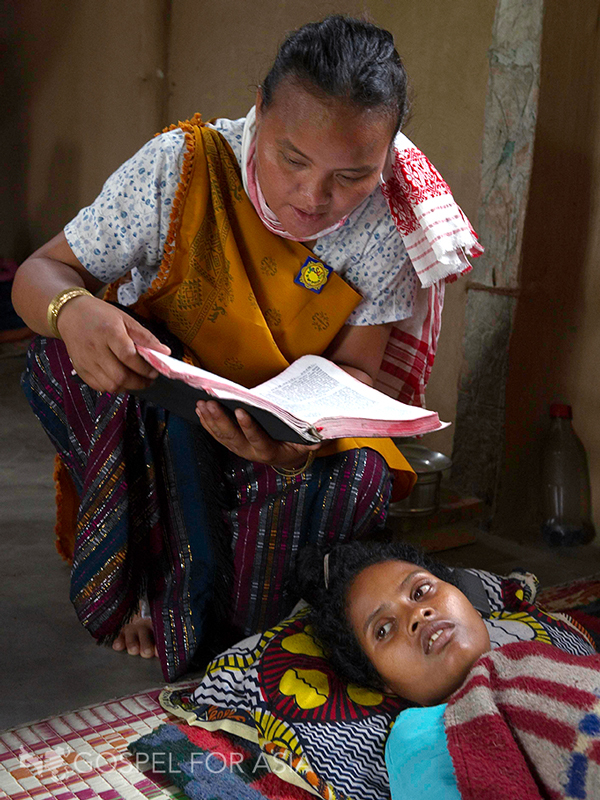 Watch this video to see what made a simple village woman become a powerful witness for God. Widows. The treatment of widows in South Asia is unimaginably horrific. + Abandoned Children. Countless children in Asia have been discarded and abused, but they are not forgotten. + Asia’s Youth. Did you know that 40 percent of India’s 1 billion people are under the age of 18? + National Missionaries. Everyday people who love the Lord and rely on Him for help as they give their lives to further God’s Kingdom. Sister Mary knows what it is like to suffer and that is why she is telling the sick and the suffering how she personally experienced God’s power of healing. Is there something that God has done in your life that you would like others to experience too? Pray about it and watch God work in mighty ways. Effective, persistent and faith driven prayers can move mountains. When Sister Mary prays, God hears and He acts. The same can happen for you. Go before the throne of grace with your list and with thanksgiving, offer up your petitions and the God who is faithful will hear and attend to them. I was doing research on child labor in South Asia and came across a website for an organization called, GoodWeave. “GoodWeave aims to stop child labor in the carpet industry and to replicate its market-based approach in other sectors.” The founder, Kailash Satyarthi won the Nobel Peace Prize along with Pakistani activist Malala Yousafzai in 2014. Read the story here. Check out Stand with Sanju, a video which demonstrates how consumer buying power could end child slavery in the carpet industry. Read stories of children who were forced into child labor like Kumar who was pulled out of school to work and sent away with a carpet broker to pay off the family’s loan or young Anjana who was forced to be the breadwinner of her family because her abusive father sank the family deeper and deeper into debt or Tanka who chose to go with a man to Kathmandu rather than remain in an abusive home. As you read these heartbreaking stories, imagine what it would be like if your own son or daughter was forced into child labor. Children should be in school learning, not working in factories or other companies that exploit and mistreat them. They should be allowed to be children. Insist on the GoodWeave label when you’re shopping for a handmade rug, whether online or in a store near you. Donate to the One in a Million campaign—dollar makes a difference. Tell your friends and colleagues to ask for the GoodWeave label through Twitter or Facebook. Give us feedback on the One in a Million campaign and earn a chance to win a GoodWeave certified rug by Company C by filling out a short survey here.Learn more about the lives of the million children who were working on the looms when GoodWeave was founded—and the everyday heroes working to rescue and educate them. Sign up for GoodWeave’s quarterly newsletter to keep up with the news at GoodWeave. Organize a fundraiser at your school, place of worship, home or business. Contact us for more ideas and materials. Blog about GoodWeave or carry GoodWeave’s banner ad on your blog or website. Request a GoodWeave certified rug in your wedding or gift registry (for example, using GoodWeave partner 2modern’s registry service), or ask that guests make a donation in GoodWeave’s name. 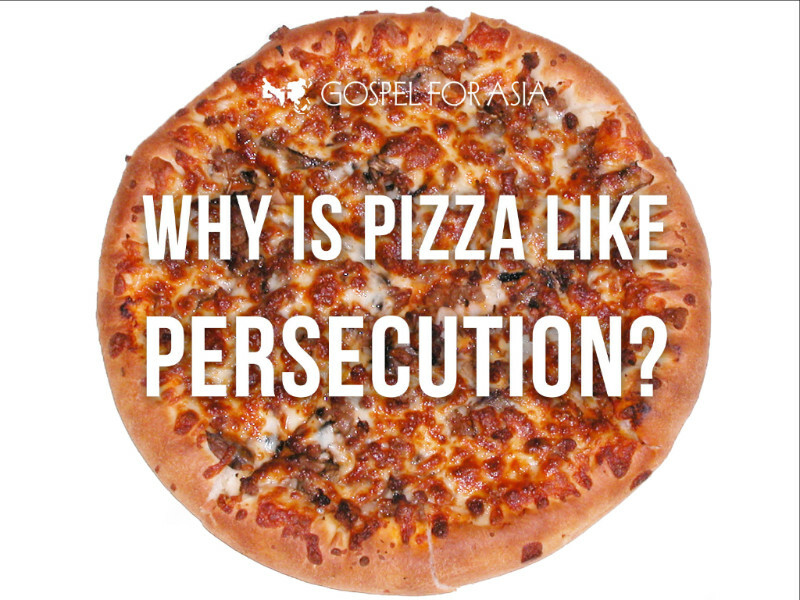 Answer: In the same way pizza is very common in the United States, persecution is very common in other parts of the world. Imagine that you live in a country where being a Christian is dangerous. Imagine your neighbors, friends or family members turning against you because you have accepted Jesus as your Lord. This happened to a college student in Kyrgyzstan She was brutally beaten by her brothers and sister. They had invited her over for a visit with the intention of forcing her to renounce her faith. Can you imagine seeing your mother being brutally attacked and your father coming home to find her lying in a pool of blood? How hard it must be for the families of those who are killed for their faith. This woman’s husband remains steadfast in his faith, trusting God to protect him and his children. His prayer is, “May God give me the courage to continue sharing the love of Christ to those who are lost, as Jesus said we should love our enemies.” Let us pray for this father who will not let anything or anyone hinder him from sharing the Gospel to the lost. May we ask God to put a hedge around him and his children. In North America Christians are still free to worship and share their faith. People can freely approach us and ask us questions and we can talk them, give them literature to read and not have to worry about being thrown into jail, on charges that we are evangelizing people or drawing them away from their faith. It has been two years since Pastor Saeed Abedini was imprisoned for his Christian faith and for charges levelled against him for evangelizing and attempting to sway Iranian youth away from Islam. We can accept or raise funds for church ministry without fear of being imprisoned unlike Pastor Tandin Wangyal. Jesus warns us that we will face persecution, imprisonment, tribulation and even death for His sake. When we take up the cross and follow Him, we can expect to go through hardship and suffering but there is a crown laid up for us. And we have this promise, “These things I have spoken to you, that in Me you may have peace. In the world you will have tribulation; but be of good cheer, I have overcome the world” (John 16:33). On November 1 and 8 or on any Sunday in November, join Christians across the nation in lifting up our brothers and sisters in Christ who are persecuted for their faith. Stand with them. Let them know that they are not alone. Prayer is a powerful tool. Prayer works! I was encouraged when I read how prayers for Yana (not her real name) of South Asia. She was detained by police on false accusations of not repaying her debt to her relative. 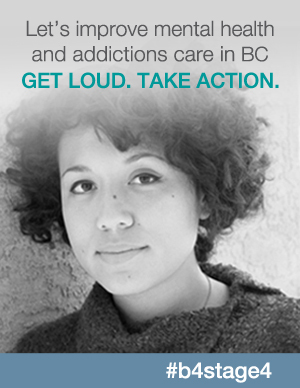 Last month, Open Doors sent out a prayer request for Yana’s release. God heard and answered the prayers. On October 11, Yana was released. Continue to pray for Yana who wants to start a business near her children’s dormitory. Pray that she continues to remain steadfast in her faith and to trust in the God who is faithful. There is nothing more encouraging for Christians than knowing that their brethren are praying for them. Gospel for Asia has provided a prayer request list. As you pray over this list, remember that “The prayer of a righteous person is powerful and effective” (James 5:16, Complete Jewish Bible).